Why some leaders have more impact in communication and management? Why and which emotions create a more satisfactory experience in the process of achievement? How is effectiveness related to Matrix-Q Intelligence? How has been body-awareness influencing the performance of leaders in ancient cultures and civilizations? How PT-Theta Primordial Algorithms serve leadership, self-management and strategic management? With the study of PT-Theta primordial algorithms for the purpose of human potential/skills enhancement, effectiveness, integral exercises designed for self-management and personal development have been implemented. These exercises, are introduced as forms of martial arts, yoga, meditation, performing arts, conscious sexuality, strategic management, gamification, preventive health, team building, leadership, defense and others. PT-Theta know how is essential in its definition and can be adapted in its form of application to any field of experience of the human being, human capital. For the purpose of effectiveness enhancement, Matrix-Q intelligence enhancement is one of the most important goals of these trainings. The Kata: .Ɵ.83783.738.473.748.Ɵ is described as an algorithm, a sequence of steps necessary for a particular purpose. In essence, the track presented here, has the purpose of giving background and emotional impulse to the performers or artists, or concentration focus in the process of creativity or solution making, along trainings. SunDanceTheta-PrimeDo.Kata.Ɵ.83783.738.473.748.Ɵ from The LDMF Foundation on Vimeo. 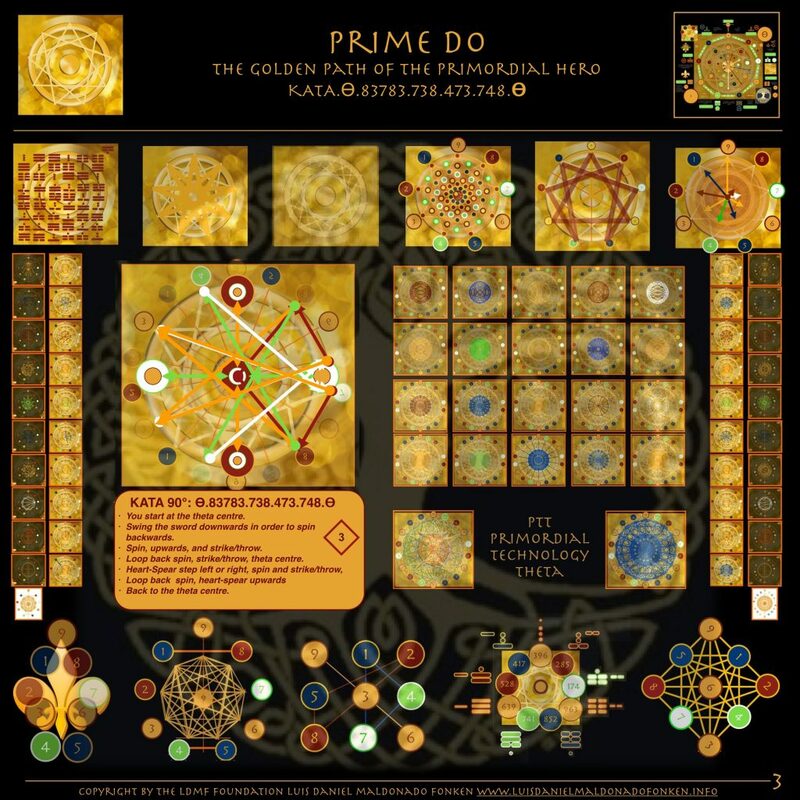 In the case of Prime Do, the PT-Theta Martial arts, it will be played for the students to know which cypher they must do a movement with. 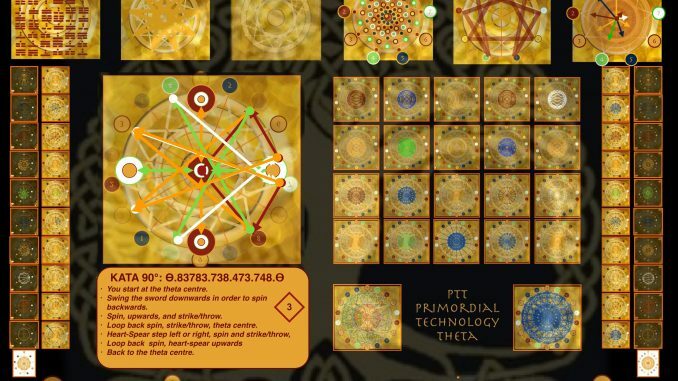 While techniques will vary, according to terrain or practitioner skill, or tools utilized for the practice, the algorithm stays in its essential primordial form, and sequence of cyphers. This characteristic of the PT-Theta Kata, make it possible for all martial arts, all forms, of yoga and meditation, performing arts methods, to practice the kata. In that sense it is an inclusive know how, that embraces all the arts and forms of knowledge and application of knowledge. Currently the Kata Ɵ.83783.738.473.748.Ɵ is being practices outdoors in the forest of Rhenen city, in the Netherlands. For more details or practice schedule please contact us. Original Article from the Matrix-Q Magazine and the Theta Foundation.